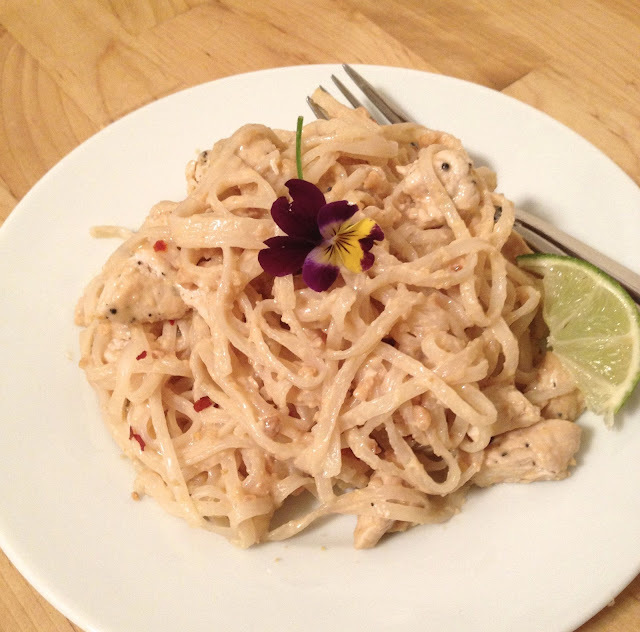 Thought I'd share a few recipes I've cooked up lately in case you need a few ideas! I know I always do. I've been cooking a lot more since we moved out to the burbs. We eat out a lot less out on the island, and we really don't do takeout anymore because it's so expensive to deliver out where we live. Which is actually a good thing because we are eating much more healthy. 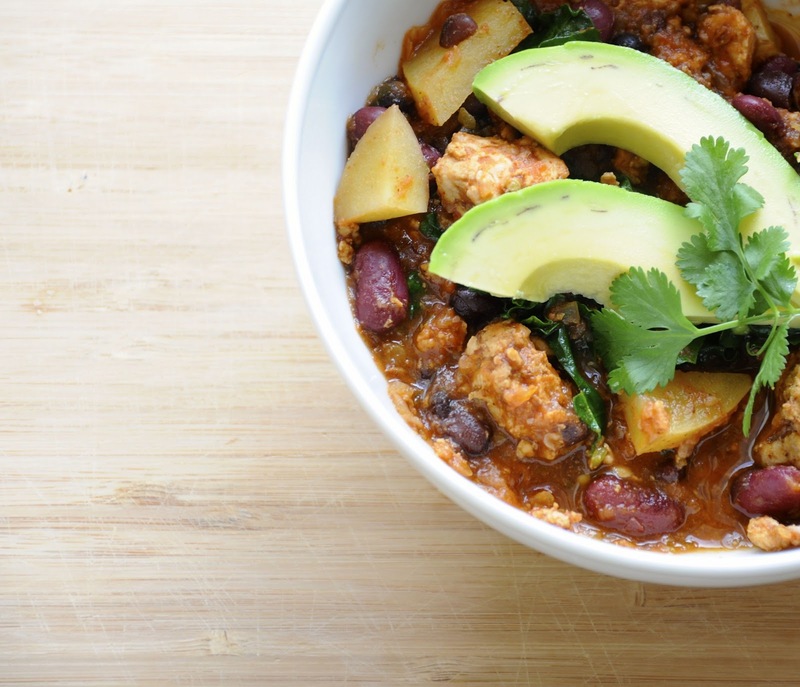 This is Kris Carr's chili with the addition of organic ground turkey, instead of zucchini & tempeh since we both are not zucchini people. Thought it was really tasty, but I let it simmer for 2 hours rather than heating up quicker like suggested- for a shorter amount of time which sorta cooked out the flavor of the jalapeno. I recommend not letting it simmer for hours. The above dish is by far one of my most favvvooorittte dishes I've had in a while. This is With Style & Grace's Gluten Free Pad Thai. It's easy. Not that expensive to make. And, super super tasty. I've made it twice in a month. Chris loves it too. That's always a win. The above recipe was a cheat for the week night meal but worth it. I can't find the exact recipe, but this one is very close. I used olive oil instead of butter. You pretty much mix up some parsley, panko, garlic, lemon and then set aside. 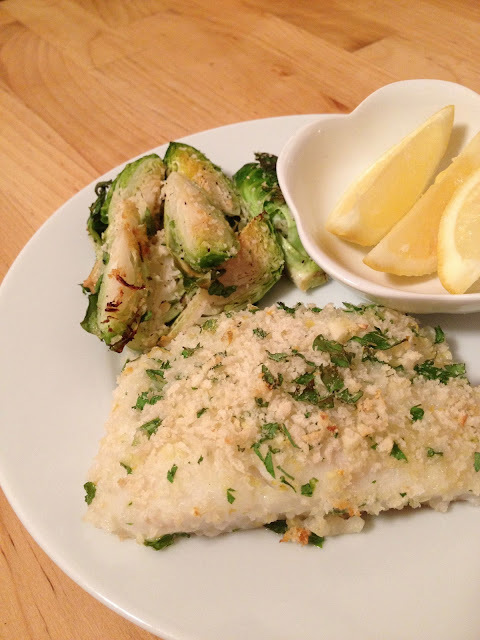 Use a brush to coat the cod with olive oil (don't use too much or your fish will be soggy), dip both sides in the mix, then set it on a lightly coated (with olive oil) baking sheet and bake. Believe I baked it at 350 for no more than 12ish minutes. Really delicious. 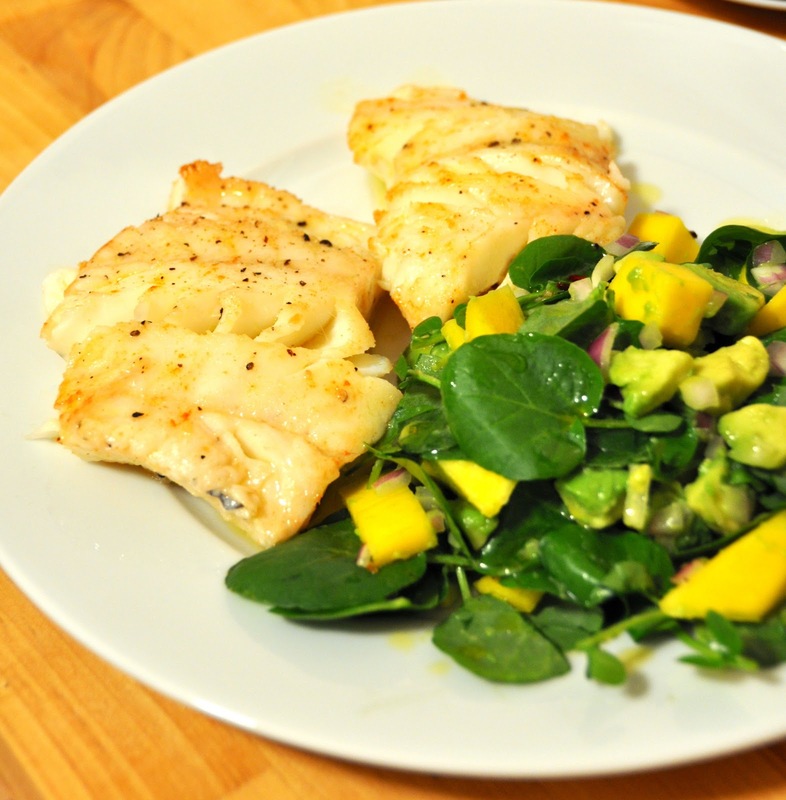 The cod & salad recipe is from here. I added avocado to the salad and switched out tilapia for cod (as you can tell cod has been a good price for me at Whole Foods lately). Very fresh and easy to make. 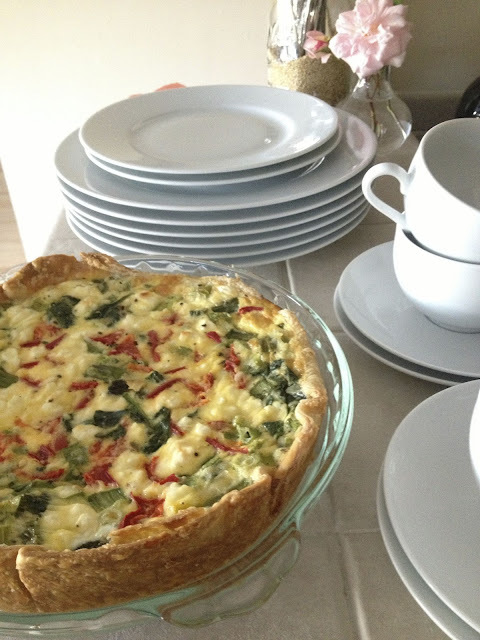 Last but not least, I made my first quiches a few weekends ago (definitely not on my M-T diet). I thought they were pretty easy, although a bit crazy making two completely different quiches at once in a tiny kitchen. And, we only have one rack in our oven right now so I had to cook them separately. This was the non veggie version, and this was the veggie (I added bell peppers to the veggie version for some more color). I didn't make the crusts from scratch- but instead by using the refrigerated pie crusts. For both I rolled them out onto the pan, put them in the freezer, then took them out right before I baked and filled them up with their jazz. Anyone make anything delicious lately? Always love new recipes! These look so good! I love quiches and chili especially. This week I've made a Hawaiian BBQ chicken pizza (http://www.foodiemisadventures.com/2013/02/hawaiian-bbq-chicken-pizza.html) and kimchi fried rice (http://www.yumsugar.com/Kimchi-Fried-Rice-Recipe-22273793) which were delicious! They all look so very delicious, and great healthy variations too! Kudos! the pad thai looks delicious!